Laini Reeves is an internationally renowned hairstylist, who’s highly sought after talents frequently take her across the globe. Laini started her career in London at a very early age and she has since worked with all of the top salons. 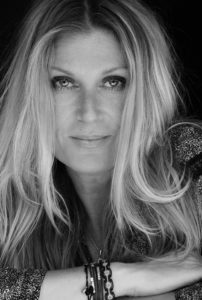 After gaining a highly reputable name for herself, both Laini’s creative and business aptitude were fully realized when she was named Worldwide Creative Director of Toni & Guy Hairdressing. This position eventually lead to her relocating to the USA to assist in developing and elevating the success of the company. Laini is currently based in Los Angeles where she divides her time between California and Europe. Since her relocation to the United States, Laini’s success has continued to grow with the elevation of hair and the art-form of styling through her continued focus on editorial work. Laini’s passion is traveling throughout the world providing education and training to all stylists to share her continual creative development of new and inventive techniques in hair styling. Through her worldwide appearances at hair shows and seminars, Laini enjoys working with distributors to train other educators in platform work, retailing classes and overall job performance for the industry. From national and international trade shows, in-salon seminars, retail motivational classes to training manuals, videos, photo shoots, ad campaigns, movies, TV, magazines and interviews, Laini is dedicated to collaboration in the development of hair products and building and maintaining a celebrity clientele.